Saxophonists have been around for a while and provide great live band entertainment for parties. As talented musicians for hire, what could be better for your wedding, party or event, than a live saxophonist playing your favourite music? From soul to jazz, blues to club music, we can play it. Saxophonists are incredibly adaptable and their sound can be altered to match your personal preferences in music. We can arrange music that pairs well with the theme and setting of your event. What’s more, saxophonists, and saxophonist bands, are continually learning the latest tunes. So your options are never-ending! At Essex Saxophonist for Hire, we’ve been providing quality-sounding music and saxophone services to the Greater London and Essex area for years. We’re driven by the desire to enhance the music scene around the Essex and Greater London counties through our unique and melodious approach to saxophonist and live music. While you might think that we’re only able to perform a handful of songs or types of music, we’re very diverse. We can entertain most crowds with our own spin on various types of musical genres. 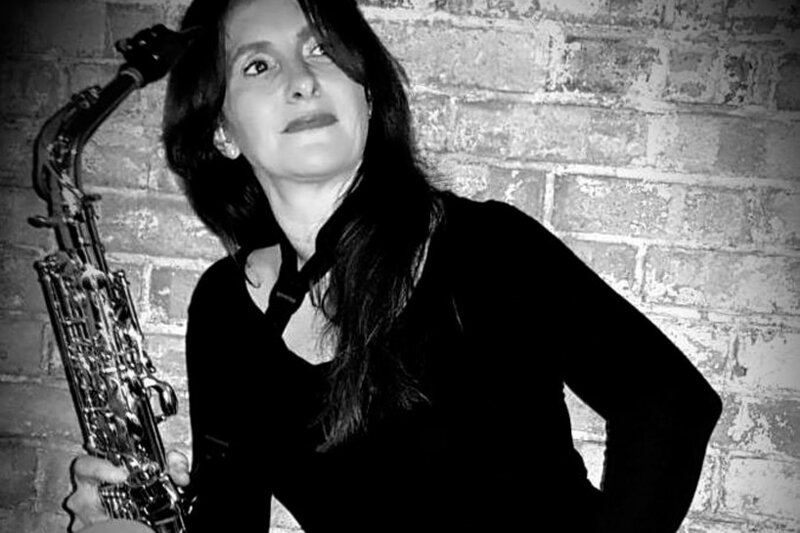 If you are looking for professional private-hire saxophonists, then look no further. We’re here to give you and your guests a musical experience that you won’t forget! Our range of services caters to those who enjoy a variety of music. Whether it be soft jazz, classical or rock-n-roll, we can play it. We’re incredibly versatile! Book our saxophonists for hire today. What better way to spruce up your average pub night than with live music? Pub gigs are one of our specialties. We regularly perform in pubs, across London and Essex. Whether you want general music to liven up the evening or you are looking for musicians for a themed night you can hire our saxophonists. We’ve got the experience to give your pub a great night that your customers will thoroughly enjoy. We can fill time slots with other musical artists or provide an entire line-up for the whole evening. Next time your pub needs some live music entertainment, give us a ring! 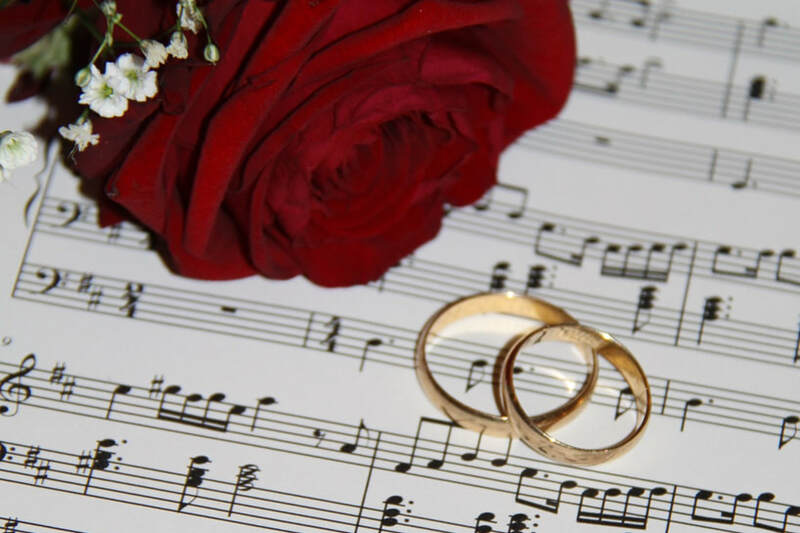 Looking for the perfect music to go with your special day? Why not hire a saxophonist? You’d be surprised to know that saxophonists don't just play easy listening music, they can play a wide variety of musical genres. We can play music that welcomes the bride down the aisle, as well as upbeat club mixes for guests to dance to at the reception. We can also add that extra special touch to the music your DJ is playing. Do you have a birthday party or engagement party coming up soon? Invite us to entertain your guests! We’re available for hire at private parties, regardless of the theme. Many clients contact us asking if we’re able to play their favourite songs. 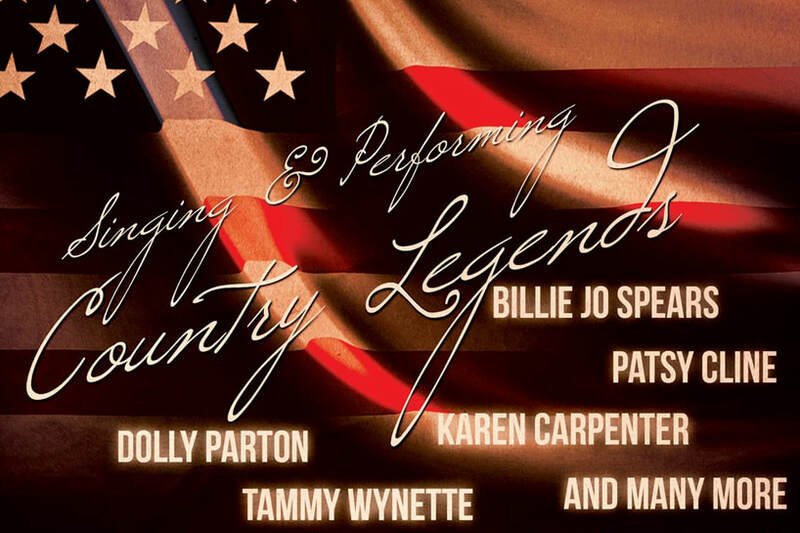 We’re more than willing to provide a song line up that reflects the music that you would like to hear. 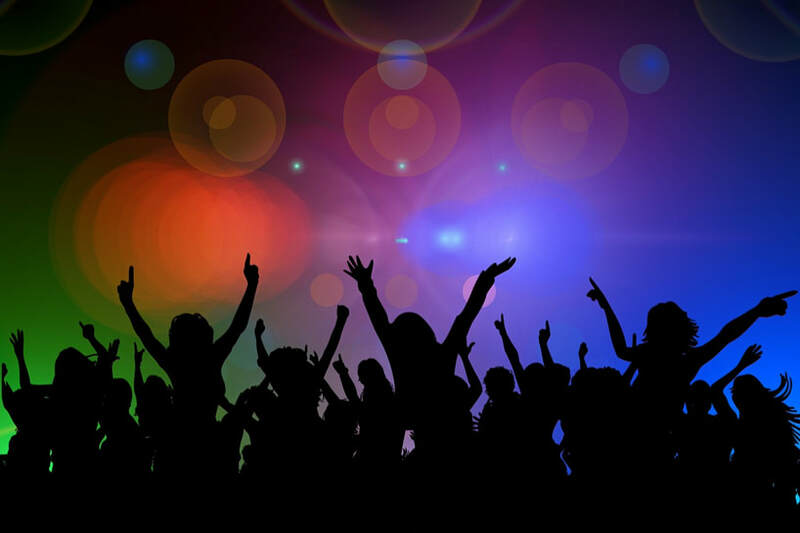 Whether the party’s in your home or at a formal venue, we do all the set-up and get the music flowing and the party going! We also attend themed parties too! “For my mum’s 60th birthday party, we enlisted the help of Essex Saxophonist for Hire as the entertainment. My mum’s always been a fan of the Carpenters and they were able to host a Karen Carpenter tribute night and she loved every minute of it! 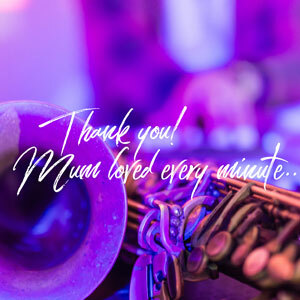 Thanks for making her party extra special!” – Christina R.
“I got in contact with Essex Saxophonist for Hire to perform for our pub’s live music night. So many customers were attracted to the great club classics the saxophonist was playing and we were busy the whole night! Would definitely hire them again for another pub gig!” – Roger L.
Corporate events are one of the best ways to get your co-workers together outside of the office. We’re here to offer our saxophonist services for hire at corporate events. If you are looking for memorable entertainment to keep the fun going and event exciting - choose us. We’ve helped host corporate events that were held both in offices and at venues. 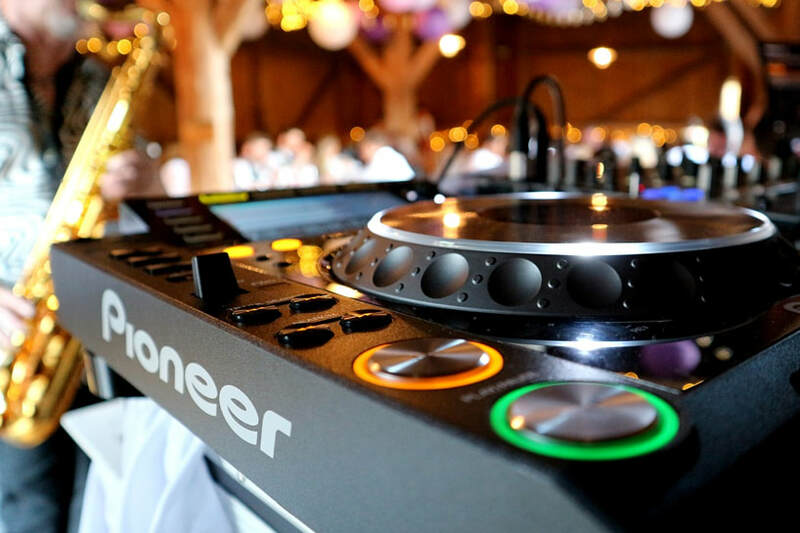 DJs with live cover music is a great way to add a modern twist to your musical favourites. We have experience in remixing songs to a dance-worthy beat. As well as covering Motown saxophonist classics via instrumentals and acoustics, we cover other genres too. Cover music lets you sing along to all the songs you love. 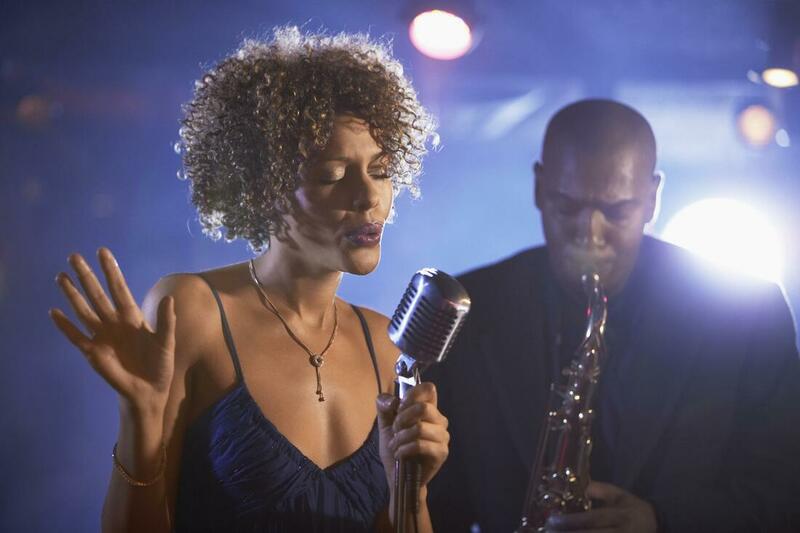 Saxophone music overlaid, enhances your entertainment, impresses guests, and takes the music to the next level. Look no further for a saxophonist for hire. 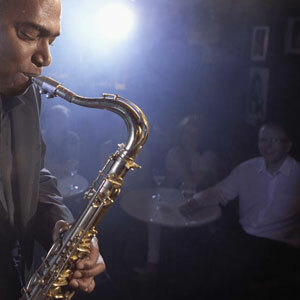 Are you looking to hire a saxophonist for your next big party or event? Getting in touch with us is easy. The quickest way is submitting your details in the form on this page. We’re ready to your take requests, answer questions, and offer free quotes for your anticipated date. If you’d prefer to speak to someone directly, you can also reach us by calling us on 020 8088 0945. We’ll guide you through the logistics of hiring our saxophonists. ​We look forward to entertaining you!